Tightening solution intended for CNC or conventional metal forming equipment, vertical and horizontal working centre or robotized production. 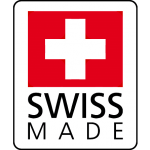 Made in Switzerland, our products are recognized for their quality, their reliability and their precision. Our extensive product range allows us not only to supply standard items but also to provide specifically requirement. Proximity of the customers, specific knowledge of the applications of industry and relation with the customers and partners developed during the years. Local, strategy of production centered on quality and the costs. Strongly automated, semi-automatic or manual production appropriate with the type of product, volume and technical complexity. Development of products of tightening innovating and targeted on the needs for the markets and the customers. Central competence: the integration and the use of mechanical, pneumatic and hydraulic technology. 1963 Jean Pierre Evard has founded his mechanical workshop in Concise. Very quickly, interest of Mr. Evard goes on the design of a new element of tightening for the equipment of the machines. The realization of a pneumatic vise is concretized, and a patented model is put on the market in 1978. 1986 The range is supplemented gradually and counted seven models. The two sons, Roger and Jean-Marc Evard, join the company actively. 1987 Due to their activities and good business, Mr. Evard decided to build a new plant. In 1987, the company settled in more than 2000 square meters in Yverdon-les-Bains. The Evard Précision S.A. (limited) is founded. 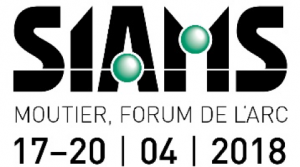 Our participation in exhibitions in Switzerland and Europe contributes to the interest which appears for clamping systems with outstanding quality. 1993 Evard Précision SA presents in first world, in the exhibition EMO of Hanover, a revolutionary modular work holding system named POLYMUT. Then the company develops the car-centering pneumatic vise AZIMUT. It is a success. Requests arrive from all Europe and Asia. In spite of its evolution, Evard Précision preserved the climate justifying of a family company, supporting the exchange between the collaborators and the direction. Its products offer, as of their start-up, total reliability and the high performances required by its customers.